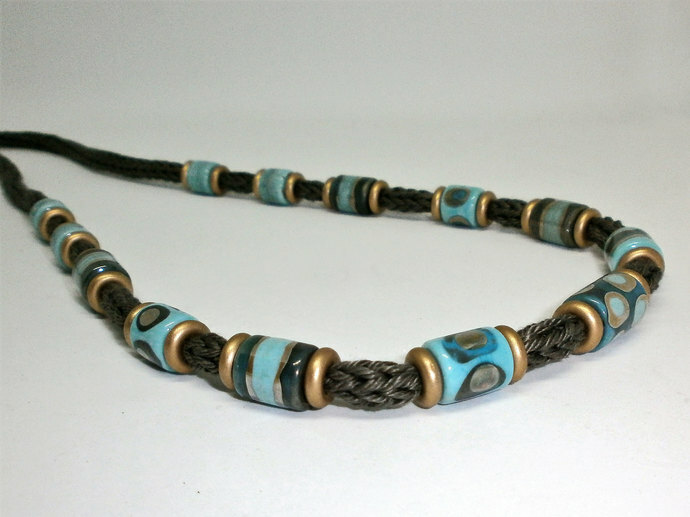 This listing is for a Necklace Bead Kit using my Blue on Blue Giant Seed Beads in a Colourway I call Viking Blue. 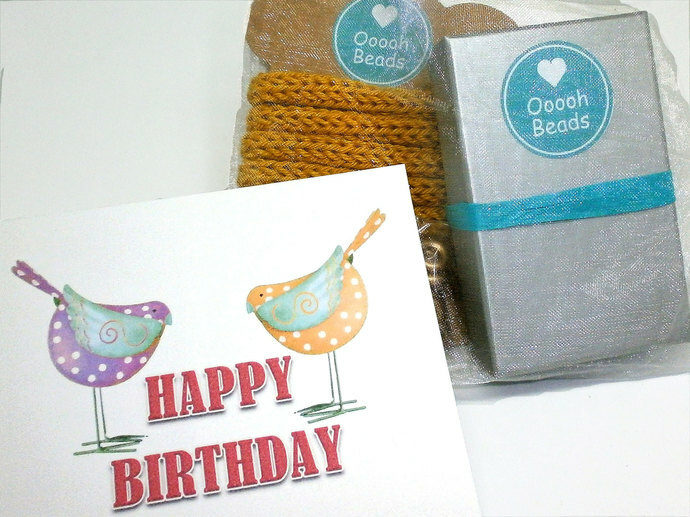 I am so thrilled with my New Cotton Cords that I have decided to put together a small collection of Bead Kits, these are an ideal way to try my Cords and Beads and would make a Lovely Gift for you or a Crafty loved one. 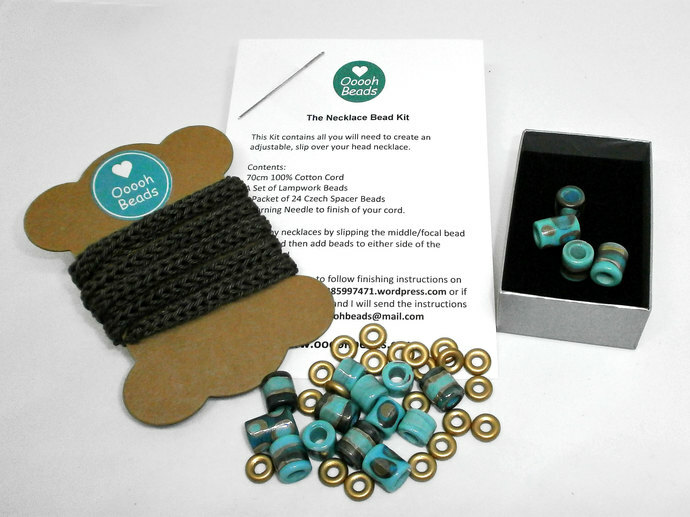 Photos 2 and 4 show a couple of ways of stringing the beads to make a necklace but there are loads of other styles you can make with this kit. 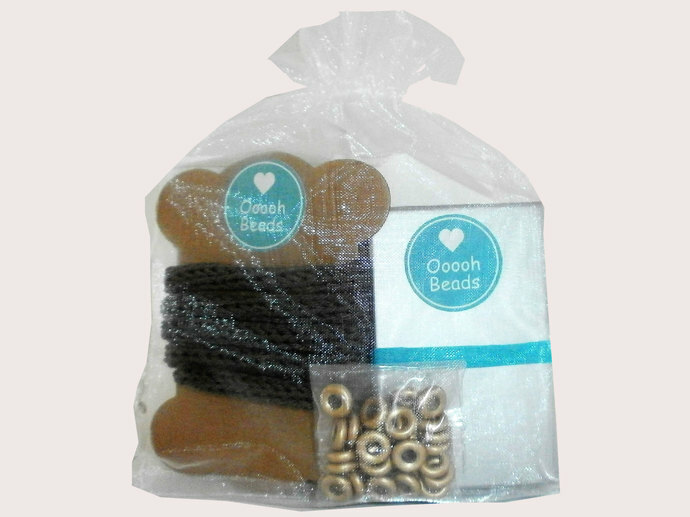 1 x 70cm length of Handmade Knitted 100% Cotton Cord in a Neutral Color called Dark Olive. 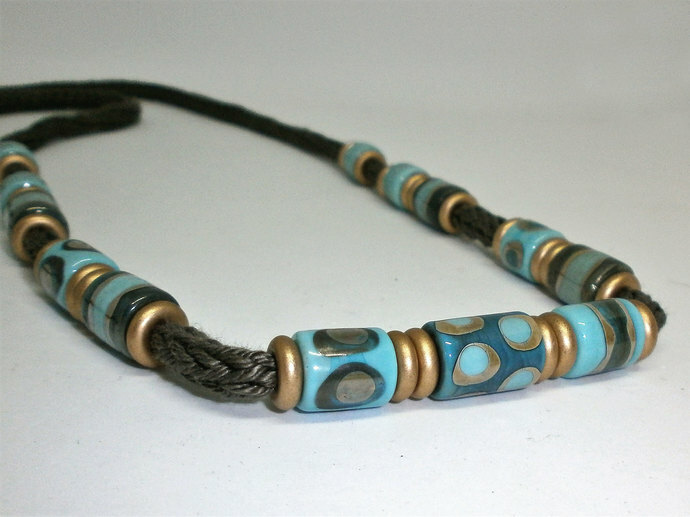 70cm is the ideal length to make a slip over the head adjustable necklace. 24 x Czech Large Hole Spacer Beads in a Matt Gold color. 1 x Information Sheet which gives the address of my Blog where instructions can be found on how to finish off the cord, see below. I do combine shipping, so you only pay shipping on the first item and the others travel for free if they are all going to the same address..